More than 80 percent of prescriptions filled in the United States are for generic drugs. 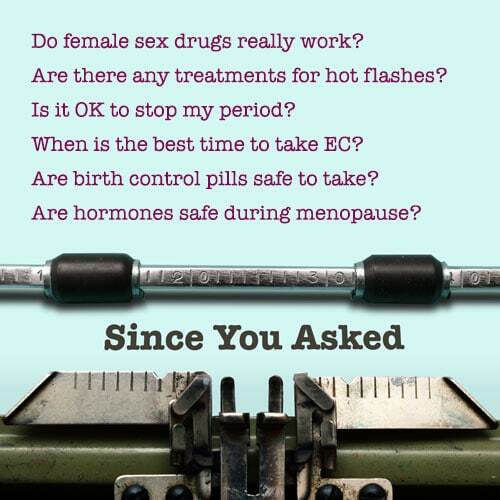 Women get these prescriptions with the assumption that the drugs they’ve been prescribed are safe and effective. But, right now, women actually have no way of knowing if their generic drugs are safe, or whether they could actually be harmful. This is because, unlike their brand-name counterparts, generic drug manufacturers are not allowed to update their drug product labels to accurately reflect new information about side effects and/or health risks. The NWHN believes that all prescription drug labels — brand-name and generic drugs alike — should reflect any and all information on known safety risks. Women should have updated information in order to make informed health care decisions for themselves and their families. Learn about critical warnings or precautions about the drug’s side effects and/or adverse effects. Generic drugs dominate the market and women deserve the same information and legal protections — regardless of the drug they’re prescribed. On December 13 2018, the Food & Drug Administration (FDA) announced their decision to withdraw a proposed rule that would give consumers access to better and more accurate information about their medications’ risks and benefits — regardless of whether a drug is a brand-name or generic. The proposed rule was called: Supplemental Applications Proposing Labeling Changes for Approved Drugs and Biological Products. The now withdrawn proposed rule would give have generic drug manufacturers the ability to initiate label changes; create a framework to ensure consistency between brand-name and generic drug labels; require drug manufacturers to submit label change applications within a set period of time after they learn new safety information; and mandate drug manufacturers to update their labels within 30 days of submitting a label change application. The NWHN submitted comments urging the FDA to adopt this labeling proposal. To protect consumers’ health and safety, we need strong and enforceable FDA requirements for accurate, updated labeling information for all drugs marketed in the U.S.